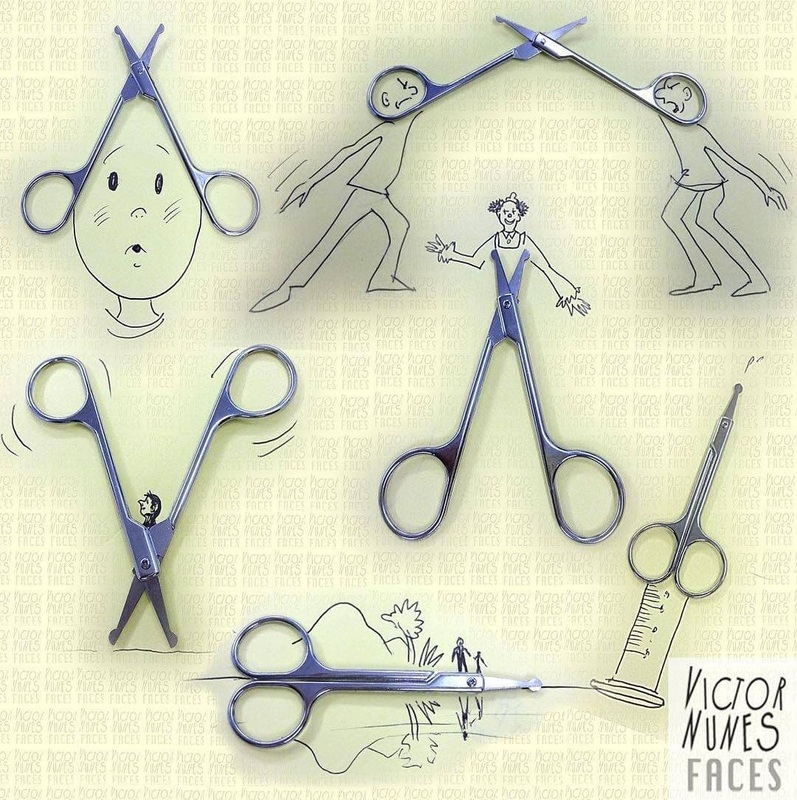 An artist that has made a carer, out of drawing around or with anything that comes to hand. 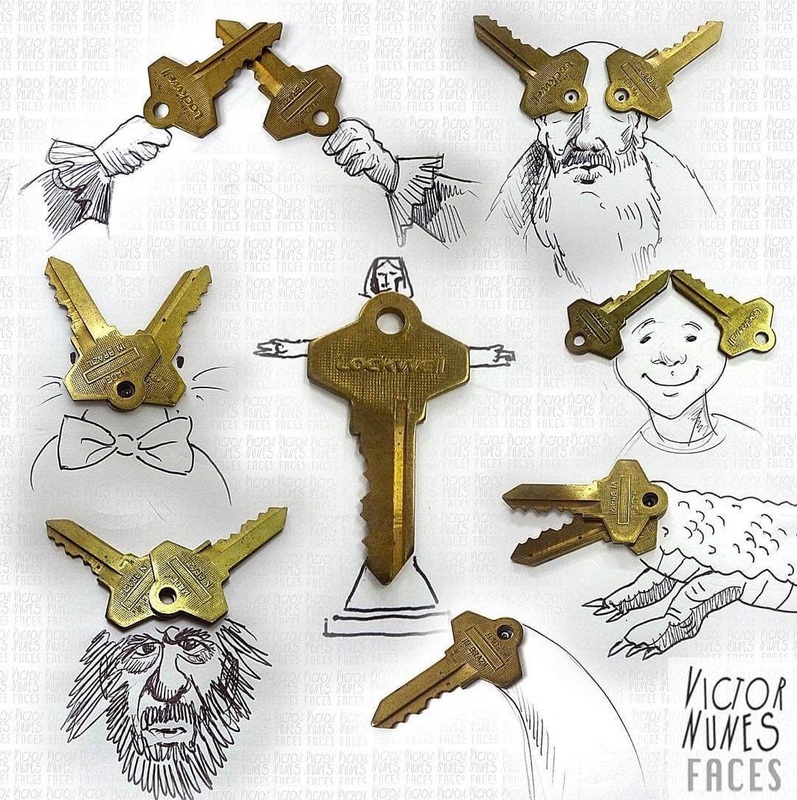 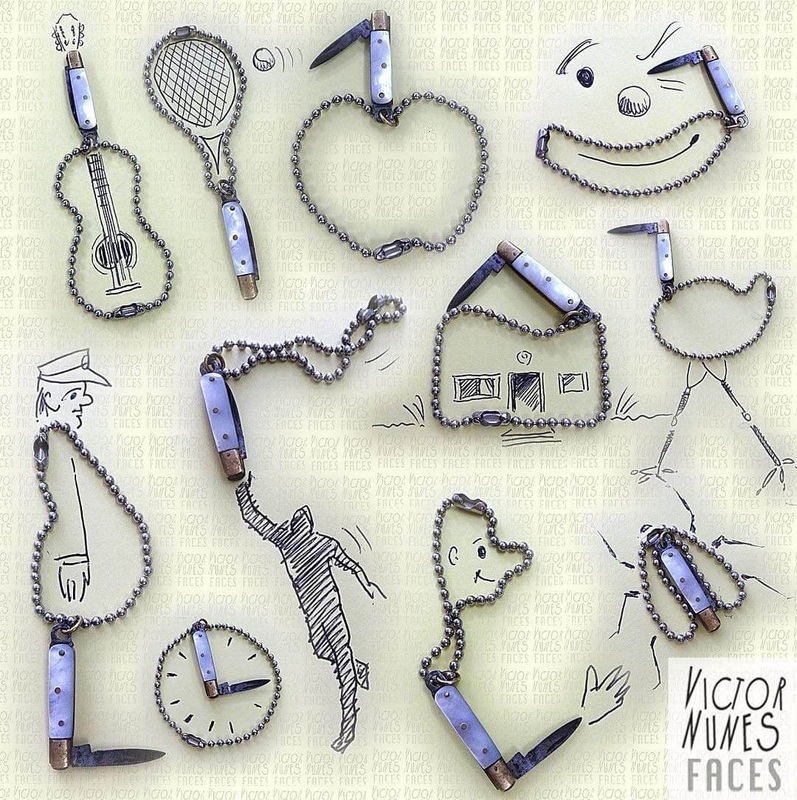 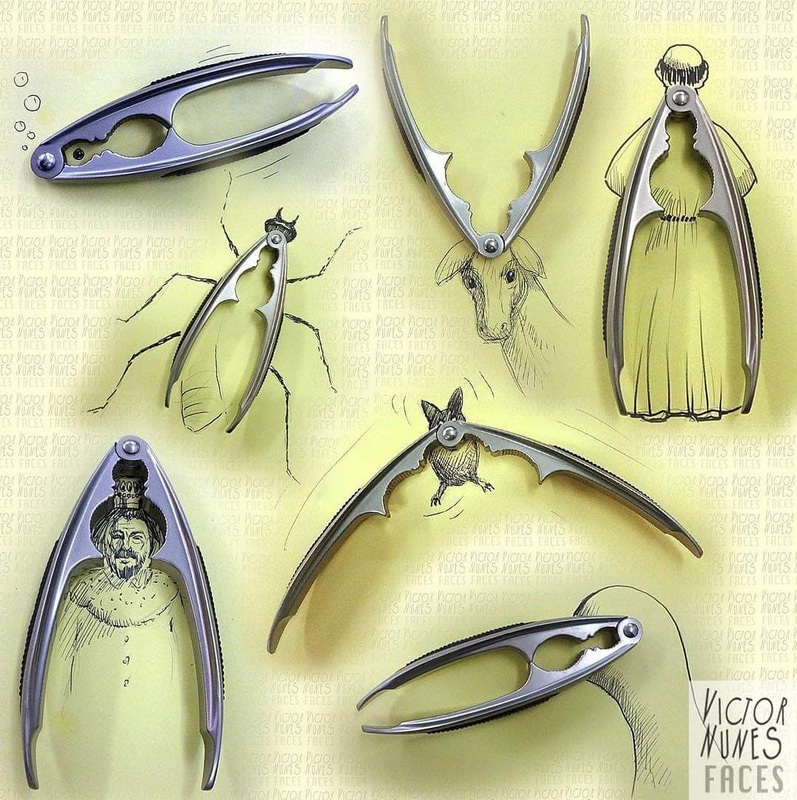 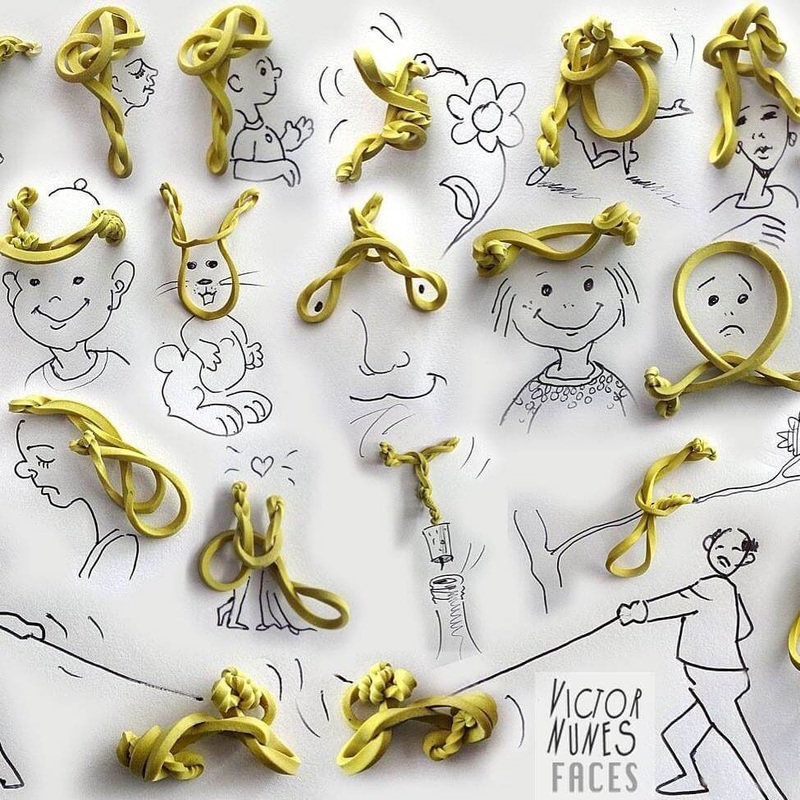 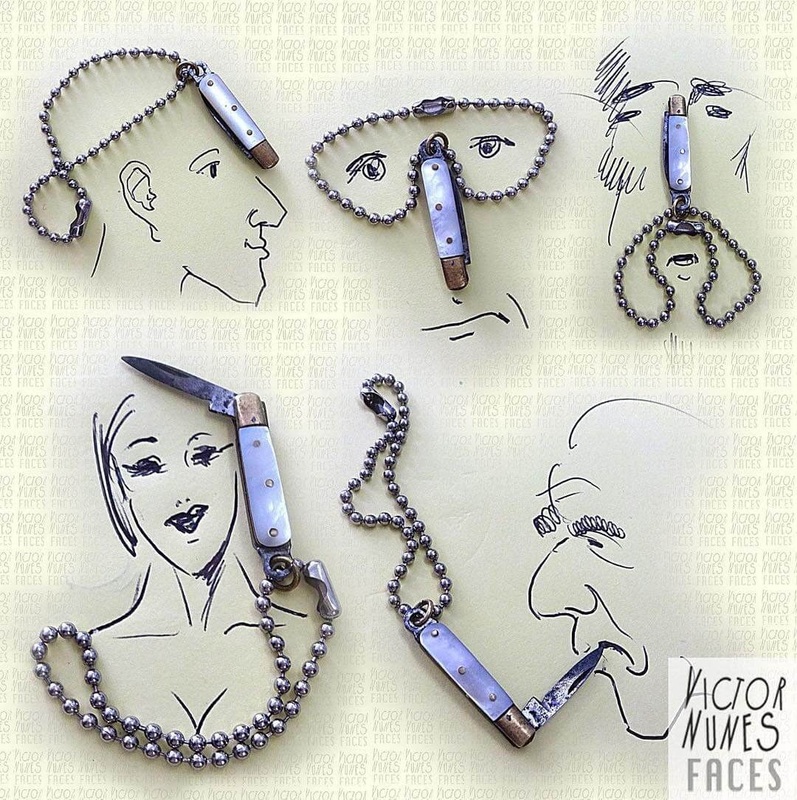 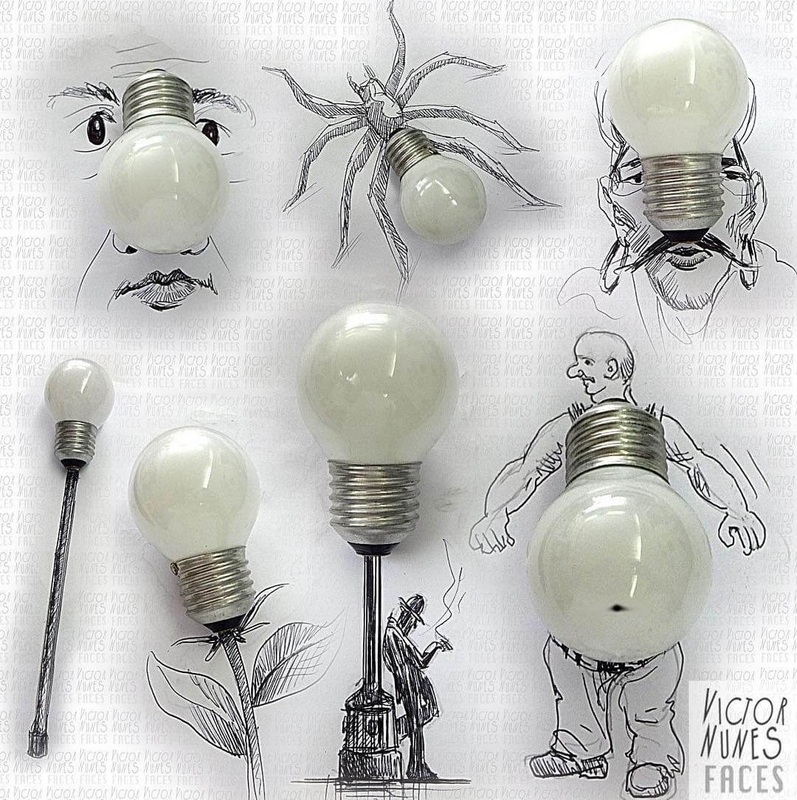 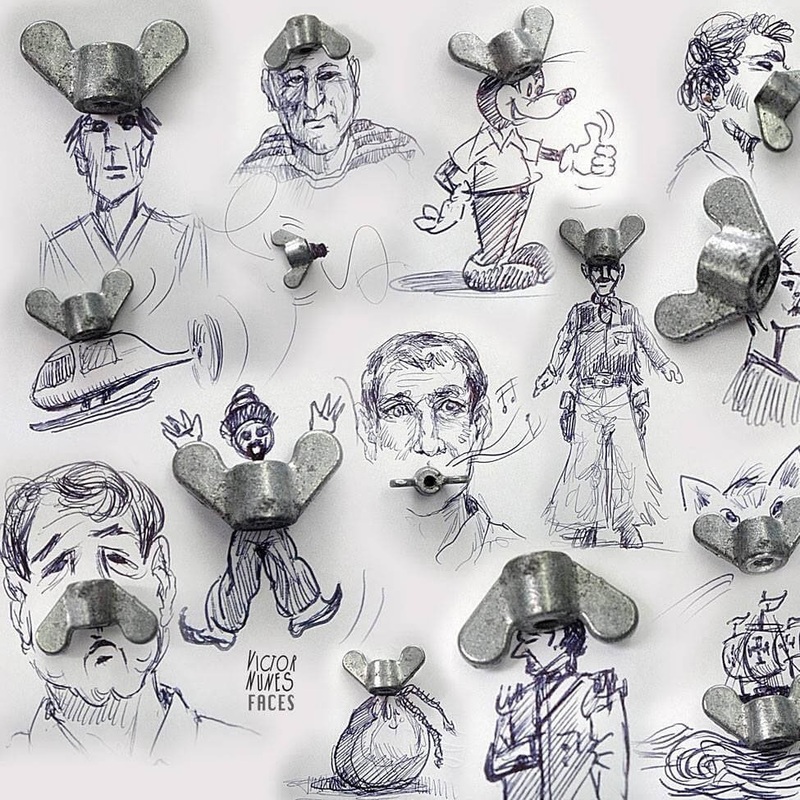 In this particular post, I will be exploring the drawings with items, that we use every day which, Victor Nunes manages to combine into drawings. 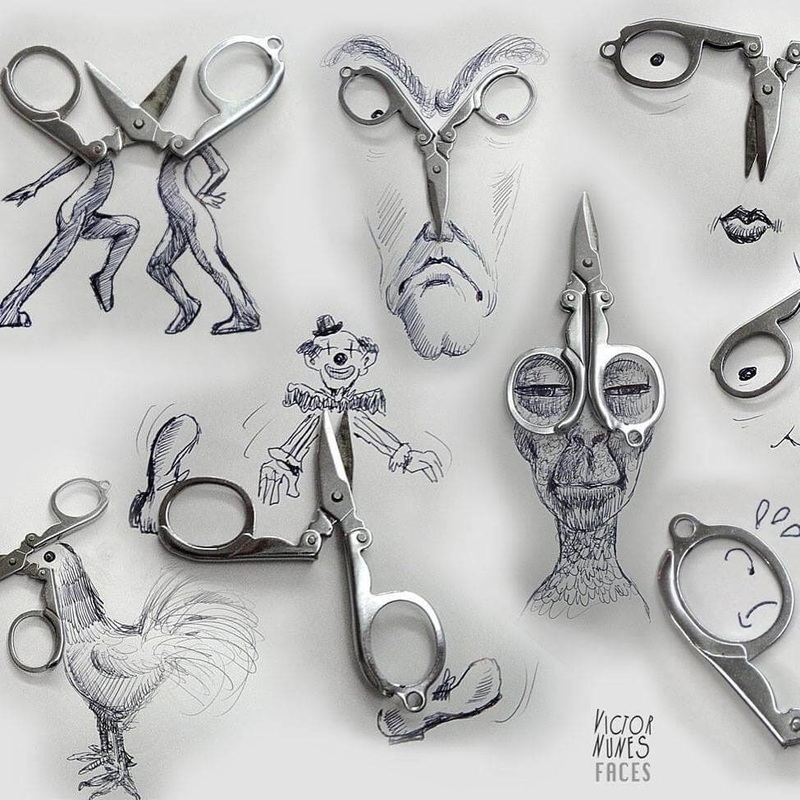 He also uses food art, makes portraits and faces using napkins, towels and jeans, to give just a few examples. 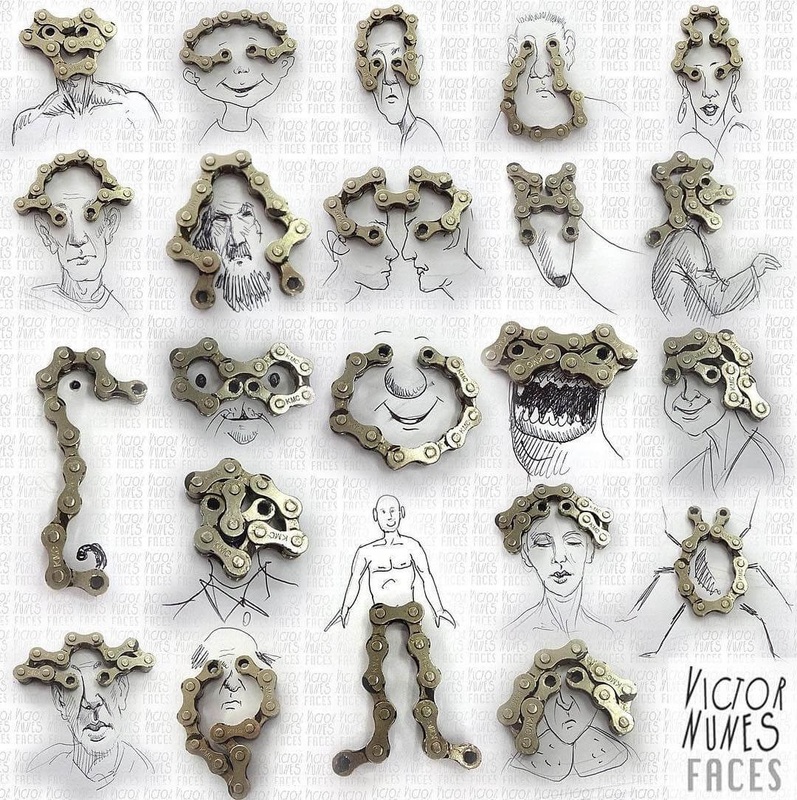 If you have a look at the link below, you will be able to see a page with more posts we wrote about Nunes' wok and a variety of different mediums he uses and adapts. 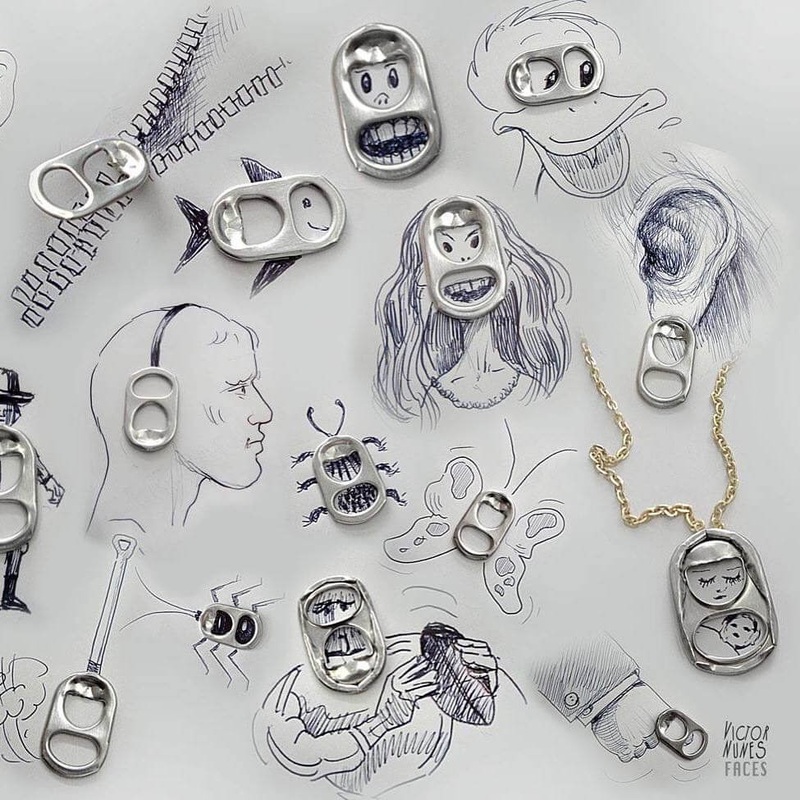 He currently holds the 2nd all-time most popular spot, here on DesignStack with 175,905 views. 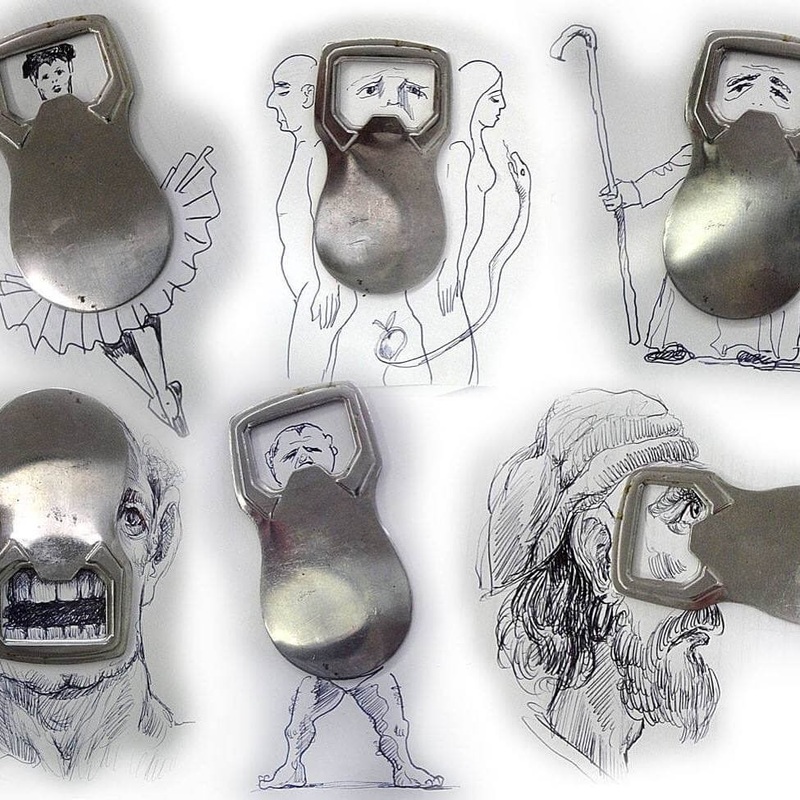 A real inspiration and possibly the antidote for artist's block. 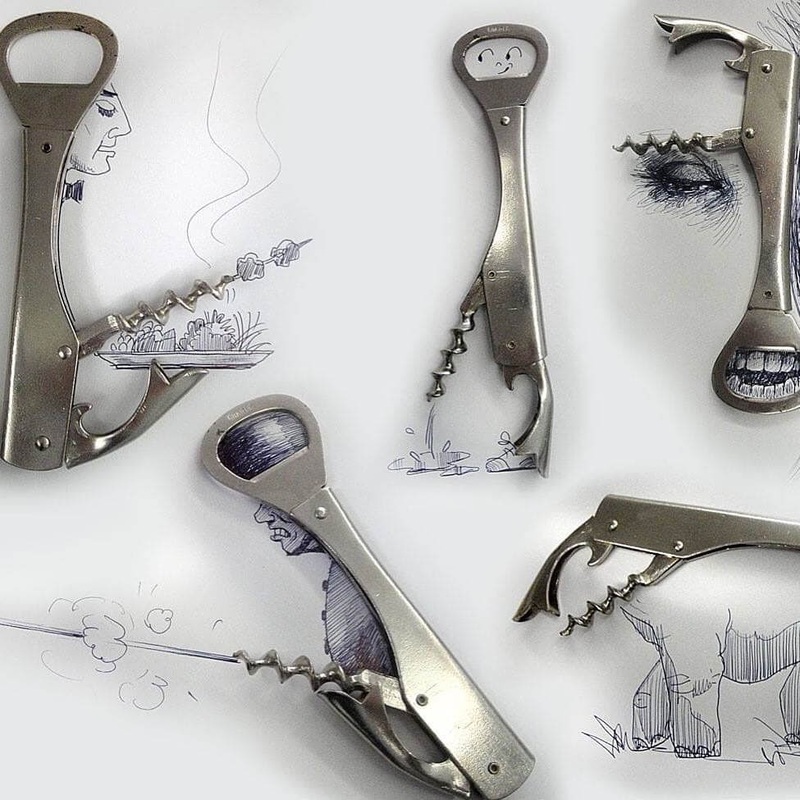 Cork Opener and Bottle Opener.